The Westside Coalition is a non-profit volunteer organization that operates under the fiscal management of Community Partners. We were founded in 1982 to serve the Westside of Los Angeles County, and are the oldest coalition in the county working on behalf of the homeless. Throughout our history, the Westside Coalition has proven to be an effective tool in providing high-quality programs and services for those in need in our community. 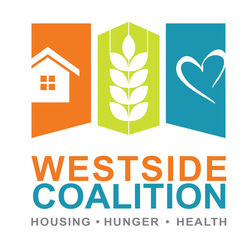 Although individual agencies have the ability to provide separate services for people in need, the efforts of the Westside Coalition help coordinate all services on the Westside in order to provide a true continuum of service care for the community. Members work together to provide services that include initial intake and service referrals; showers, food and clothing; on-going case management; emergency, transitional and permanent housing; medical care; mental health treatment; HIV medical and social services; job training and placement; and substance abuse treatment. The coalition has been instrumental in advocating for low income and homeless people at the local, state and national levels. Check out our calendar to find out about meetings and events hosted by the Coalition, including the Celebrating Success Breakfast and Lawn Bowl-A-Thon events. The Coalition asserts the importance of making clear statements that define the basic beliefs, values and parameters by which its leadership body will operate. An organization’s operating principles describe what a community should be able to expect from one another. 1) Human Dignity: We affirm the dignity and worth of all members of our community. 3) Integrity: We are committed to operating ethically, honestly, and transparently. 4) Empowerment: We believe in the empowerment of those we serve. 5) Compassion: We treat each other and those we serve with compassion. 6) Shared Responsibility: We recognize that homelessness and hunger are systemic issues and that it takes a community to combat their effects. 7) Advocacy: We are committed to helping people break the cycle of poverty by changing the systems that maintain their poverty. 8) Common Ground: We value diversity of perspective while uniting around a common purpose. In LA County, we find ourselves in the midst of a crisis of homelessness and poverty. There are tens of thousands of people living on our streets already, 1 in 10 Cal State students self reporting as homeless and a quarter of a million people are spending 90% of their income on rent. Things could get considerably worse than they are right now. But I am not discouraged even in the face of troubling statistics because of the caliber of the organizations that I work with. The members of the Westside Coalition range from social service providers, faith organizations, governmental agencies and businesses; but each of them are committed to finding solutions for those in need in our community and they are among the finest that I have ever worked with. We have a lot of work to do to change this systemic problem that we face, but the brightest and best are working collaboratively together in an unprecedented way. Consider joining our efforts; if you can volunteer we can use you! If you are affiliated with an organization or business that has concern about these issues, lock arms with us. We are better together than we are alone. Please feel free to reach out to me if you have any questions at all!